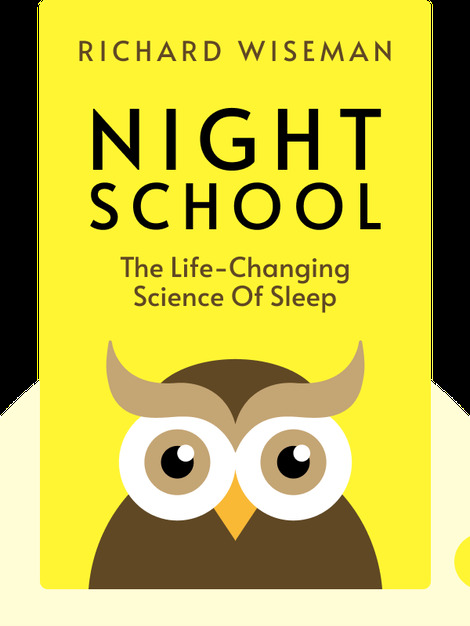 Night School (2014) is about an often neglected yet essential ingredient for happiness and success in life: a good night’s sleep. People have been struggling with sleep for centuries, and while we’ve come up with some methods for alleviating insomnia, we’ve also gained a lot of insight into why sleep is so crucial. 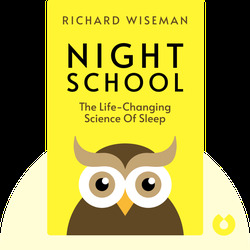 Richard Wiseman is a professor at the University of Hertfordshire and one of Britain’s most acclaimed psychologists. He is celebrated for making complex concepts accessible to the general public through his popular YouTube videos and his best-selling books, such as 59 Seconds and Quirkology.